Stuck in a rut? 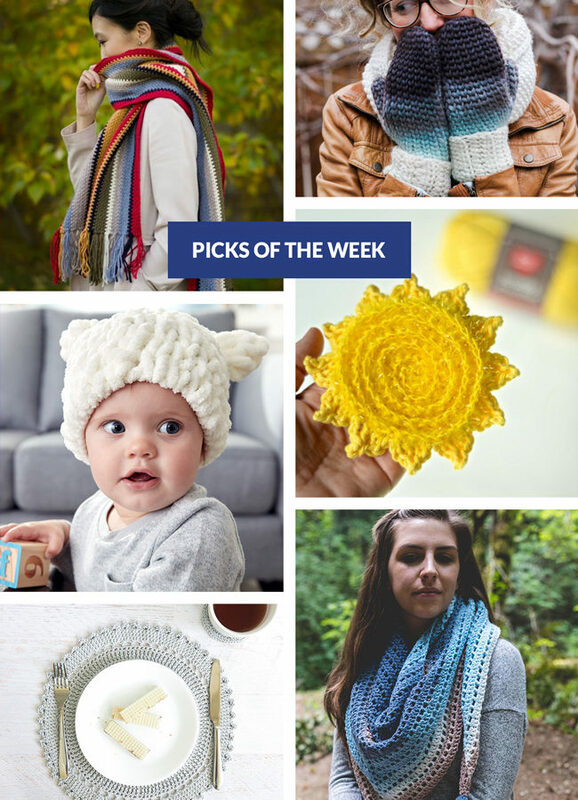 Feel like looking at pretty pictures of yarn stuff? You've come to the right place! 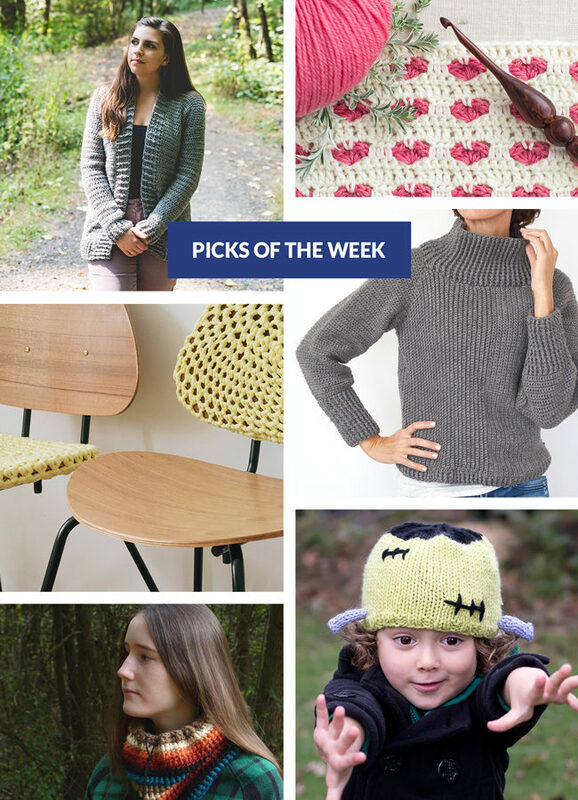 Folks were experiencing first snows of the season all over the Midwest this week, so why not grab a cup of tea and warm up with one of this week’s picks? 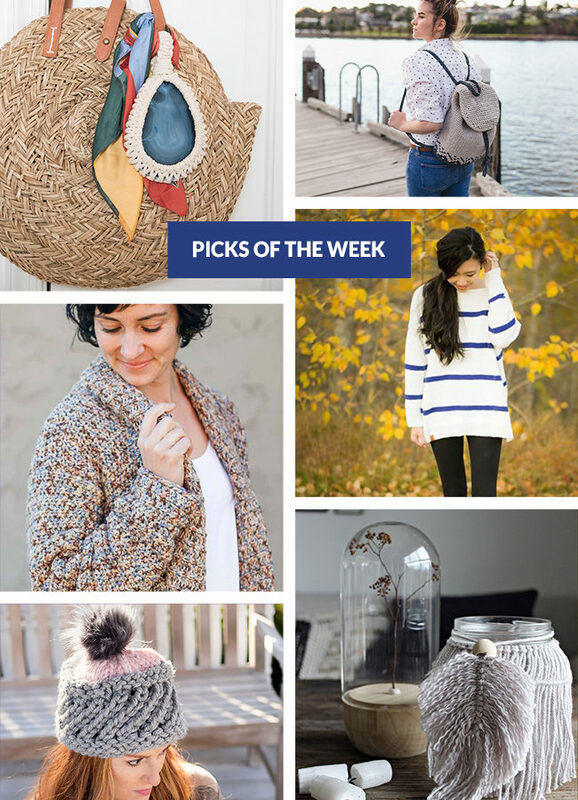 If you’ve got some holiday gift making to do this fall, check out this week’s picks for quick project inspiration! 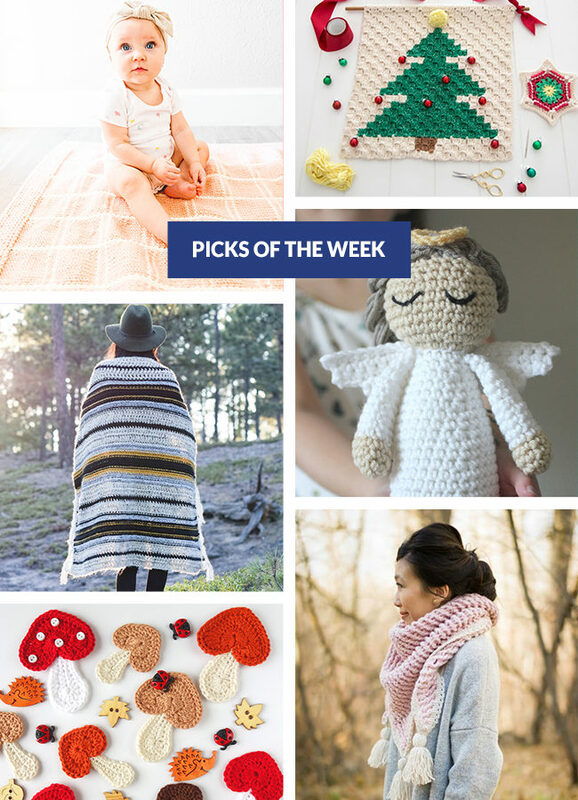 The bloggers are out in force this week (’tis the season after all), bringing us all a whole new batch of patterns to try. Accessorize with one of these fresh ideas! Take a look inside the process of designing a large scale, colorwork afghan pattern! In this post, I’ll walk you though how I designed the Intarsia Mountain throw from start to finish, including swatching, sketching, knitting, and one particularly leaky barn. 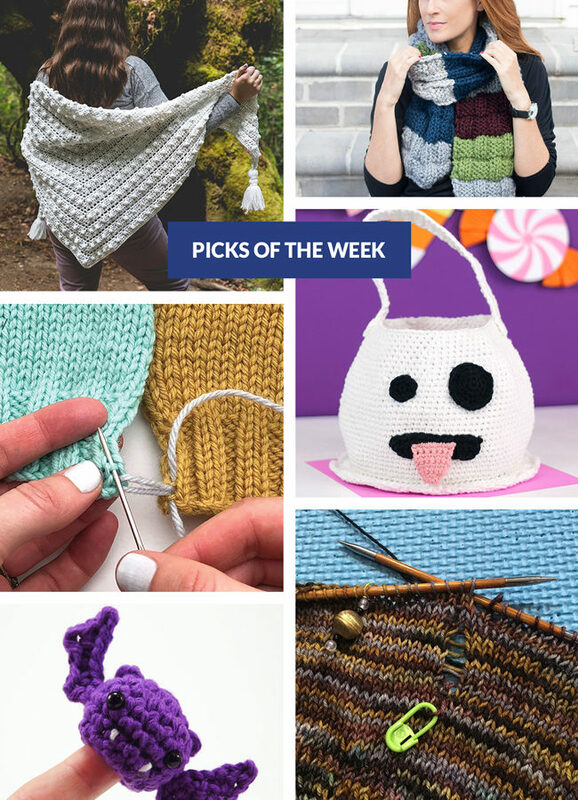 What’s on our hooks and needles these days? Is there something on your needles, but not a hook? Think about one of these fresh new ideas! 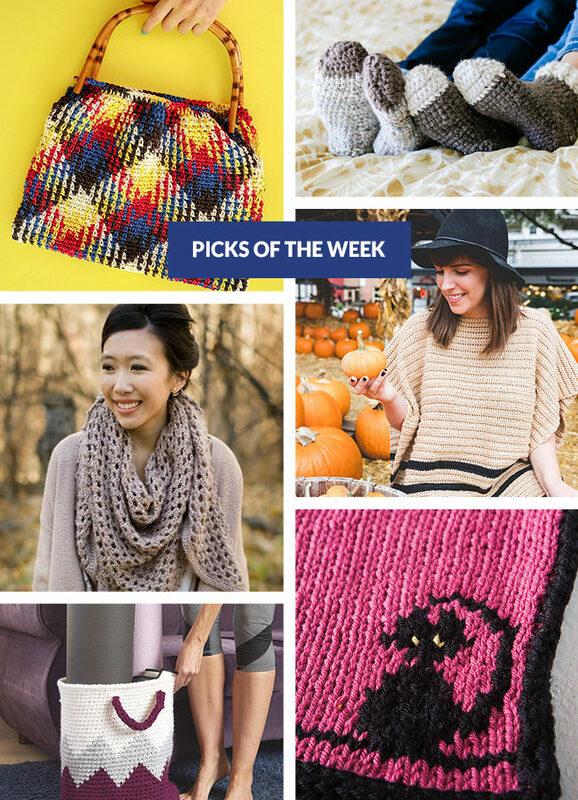 Find your fall crochet project with one of these brand new patterns from independent designers, featuring everything from the fun to the functional. It’s that time of year: cold season. 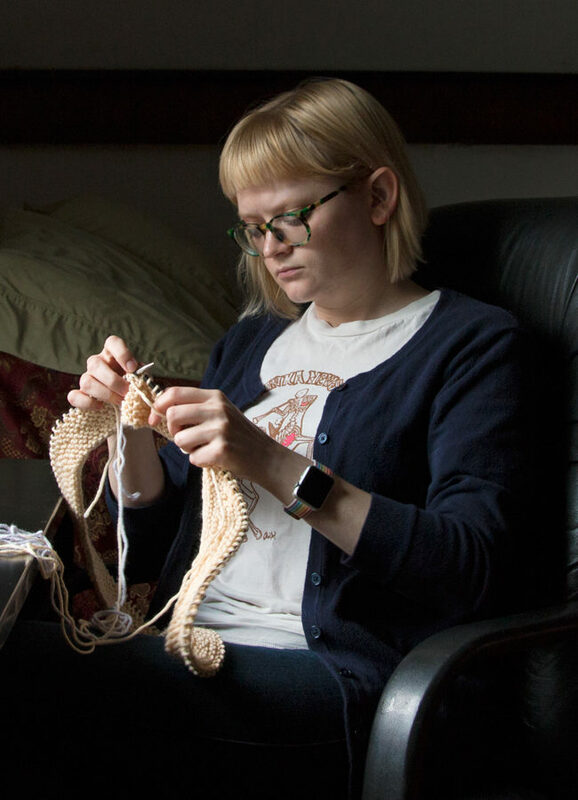 If you’re under the weather this weekend, or maybe if the weather itself has got you down, find some time to spend cozied up with yarn and you’ll soon feel right as rain. 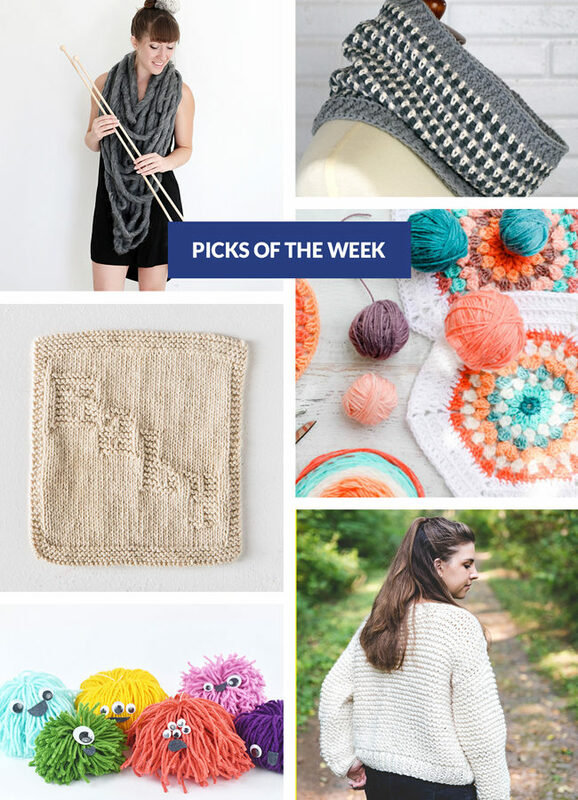 Let one of this week’s picks inspire you! Autumn is in full swing! 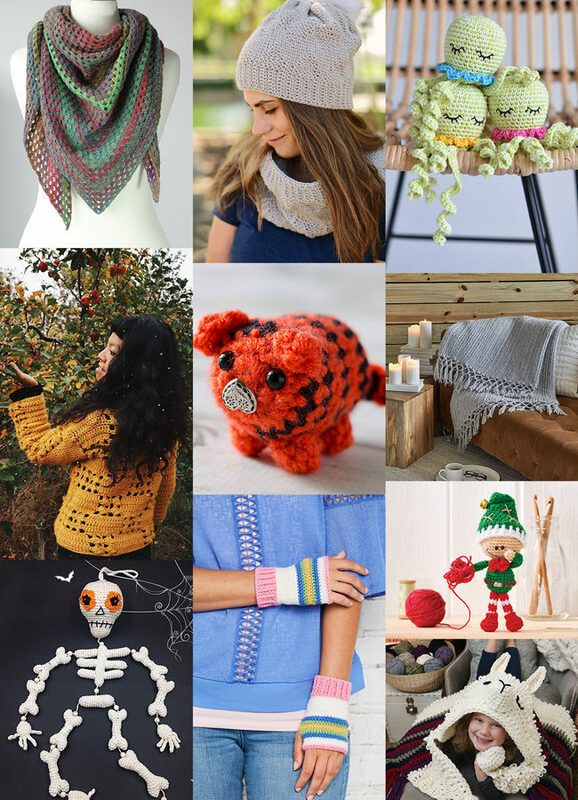 Invigorate your fall to-make list with cozy accessories, spooky novelty projects, and a whole new crop of tutorials to get your skills in line.